In the current stable of late-night hosts, no one has been in the game longer than Conan O’Brien. That feels weird to say because, once upon a time, he was the sweaty, wide-eyed rookie in a field of veteran showmen. But after 25 years behind the desk at Late Night, The Tonight Show, and Conan on TBS—which will soon transition to a half-hour format—O’Brien has experience that few others have. He’s presided over a tumultuous, transitional period in late-night, where a conversational, slow-paced program has been pushed aside in favor of shareable, viral segments. This week, Conan sat down with Vulture to talk about his firsthand experience with the ever-evolving format. The thing is, I’ve got 16-year-old fans that stop me and go on about Clueless Gamer. The fact that my show will be half as long is going to mean nothing to those teenagers — even though I want to explain to them, “I’m 78 years old and I’ve been doing this for a long time! I fought in the Korean War, you punk!” But the important thing is to make the stuff. Then we figure out what goes on the show, what goes directly online, what is put out as a caffeinated drink, what becomes a saline solution that goes in your eye. Later in the interview, Vulture asks the question that gets asked of every entertainer whose been in the business for more than ten years: Do you ever think about hanging it up? “Yeah, I do, but maybe not in the expected ways,” Conan says. 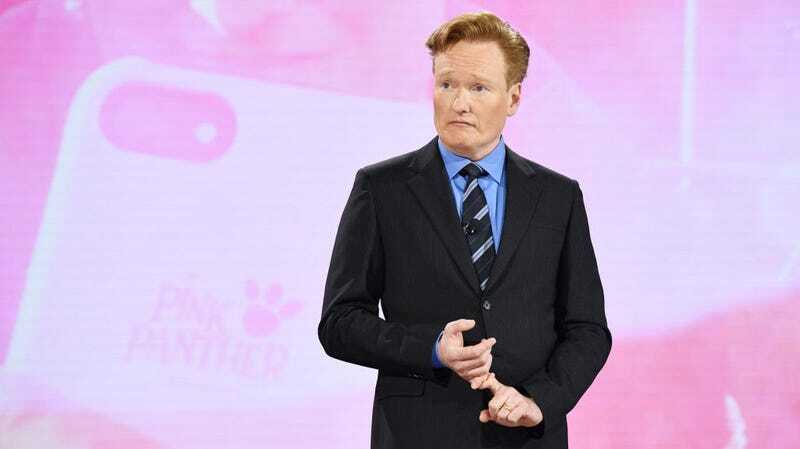 Remarking on the difference between Johnny Carson’s retirement from television and David Letterman’s “retirement” from one talk show format to another, Conan thinks there’s no reason why the end of one particular show has to mean the end of his career in television all together. You can read the whole interview here, which includes some of Conan’s thoughts on the whole Tonight Show debacle and how he deals with difficult guests.